In a commercial context, where a creditor has made a loan that the debtor uses in the course of a business or to produce their assessable income, there will be clear capital gains tax (CGT) consequences when the creditor agrees to forgive the debt. This is because the creditor’s legal or equitable right to repayment of a debt is a CGT asset in the creditor’s hands. 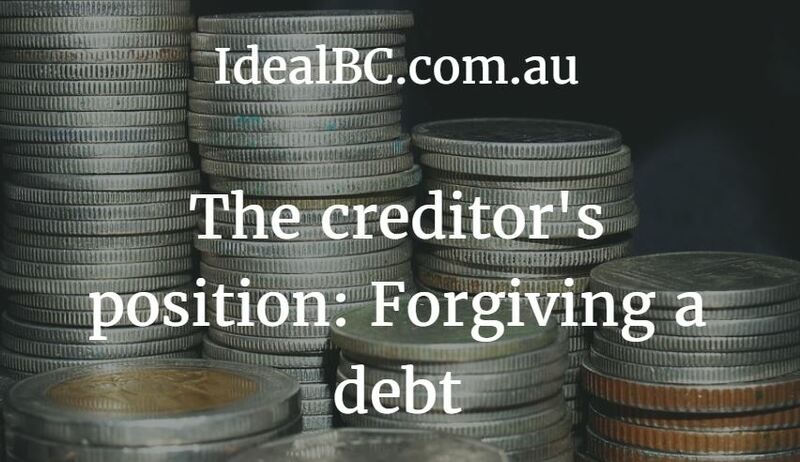 However, this does not necessarily mean that the creditor will make an outright capital loss on the forgiveness of a debt equal to the amount of the debt owed. There will be other factors to consider, including whether the debt is entirely forgiven and the circumstances under which it is forgiven. The debtor’s capacity to repay the debt (that is, the extent to which the debt is “truly bad”) will have a significant bearing on the amount of any capital loss arising to the creditor – and could even mean that the creditor makes no capital loss. The “truly bad” status of a debt can be complicated to determine, depending on the particular circumstances of the creditor, the debtor, the debt and the forgiveness arrangement. Whether the parties are dealing with each other at “arm’s length” under the forgiveness arrangement (and not just in terms of whether they are related parties) will likewise have a significant bearing on the amount of any capital loss arising to the creditor. This consideration is typically important where the parties are a shareholder and a wholly owned company. Where a debt exists as part of a private (non-commercial) arrangement – such as a loan between family members – and is forgiven, there are a range of other CGT-related matters to consider. In particular, the tax consequences will depend on whether the loan was made at a commercial rate of interest or is interest free. As a basic rule, however, where a loan was not used to produce assessable income, the lender’s forgiveness of the debt does not give rise to a capital loss. The debtor’s capacity to repay the debt will have a significant bearing on the amount of any capital loss arising to the creditor – and could even mean that the creditor makes no capital loss. In a commercial arrangement where a debt is forgiven – that is, one where interest was payable on the loan – the forgiven debtor’s position involves a range of entirely different CGT considerations. This is because, unlike the creditor, the debtor does not own a CGT asset as part of the debt arrangement. The debtor’s repayment obligations are merely that: obligations or liabilities, but not assets. Nevertheless, a debtor obtains a type of commercial or other advantage when their repayment obligations are forgiven, waived, released or extinguished. To take this into account, the tax law includes special rules that aim to indirectly recoup the debtor’s tax advantages associated with forgiveness of the debt, to the extent that the debt was a commercial arrangement. the CGT cost base of other assets that the debtor holds. In short, a taxpayer does not get off tax-implication free when a creditor forgives a debt they owed under a commercial arrangement. The CGT and other tax consequences related to debt forgiveness can be difficult to navigate, for both the creditor and the debtor, and will depend on the specific circumstances surrounding the matter. Contact us if you would like more information about how forgiving a debt, or having a debt forgiven, may affect your tax situation.